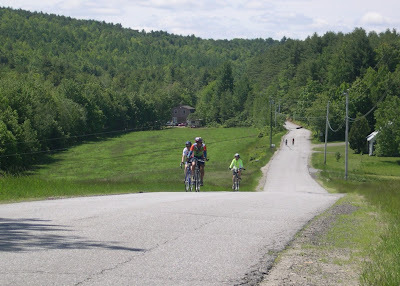 It was, as one rider noted, a "spectacular" ride from Readfield last Saturday. Beautiful weather: sunny, cool & dry, with little wind. 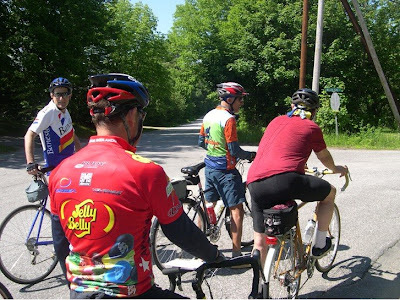 The route took a very interesting path through Readfield, Winthrop, Wayne, Fayette, and Kents Hill. Quiet back roads with lots of great scenery. Once again we had a great group of people, and we kept together for the most part. One late arrival cleverly leap-frogged ahead to join us mid-route. Perhaps we will continue to pick up more riders as the season progresses. The route was really exceptional. The roads were in fine shape for the most part - some with new pavement. And the scenery was as advertised, with nice runs alongside lakes & ponds & waterfalls. 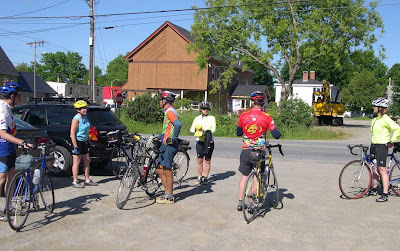 The stops at Tubby's Ice Cream in Wayne and the Kents Hill Orchard Bakery were just about equal to the scenery. Many thanks to Frank for leading another great ride, and to all the participants who made it special. 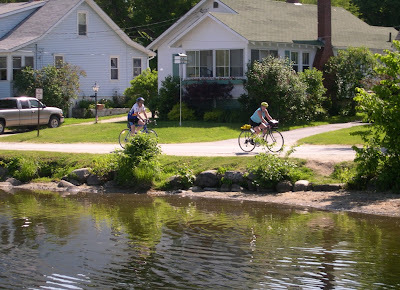 Next week's ride will be Sunday, June 14, in Mount Vernon with more ponds (and an esker) in store.